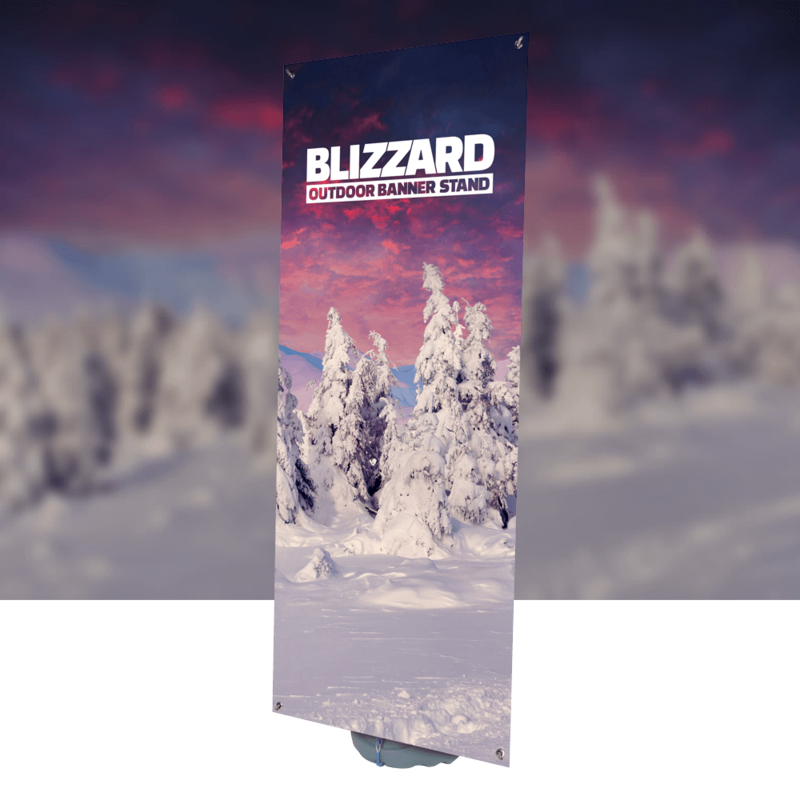 Blizzard is ideal for all kinds of corporate, sporting and outdoor events and promotions. Its simple design makes it very easy to assemble on-site and its water-fillable base makes it very stable. 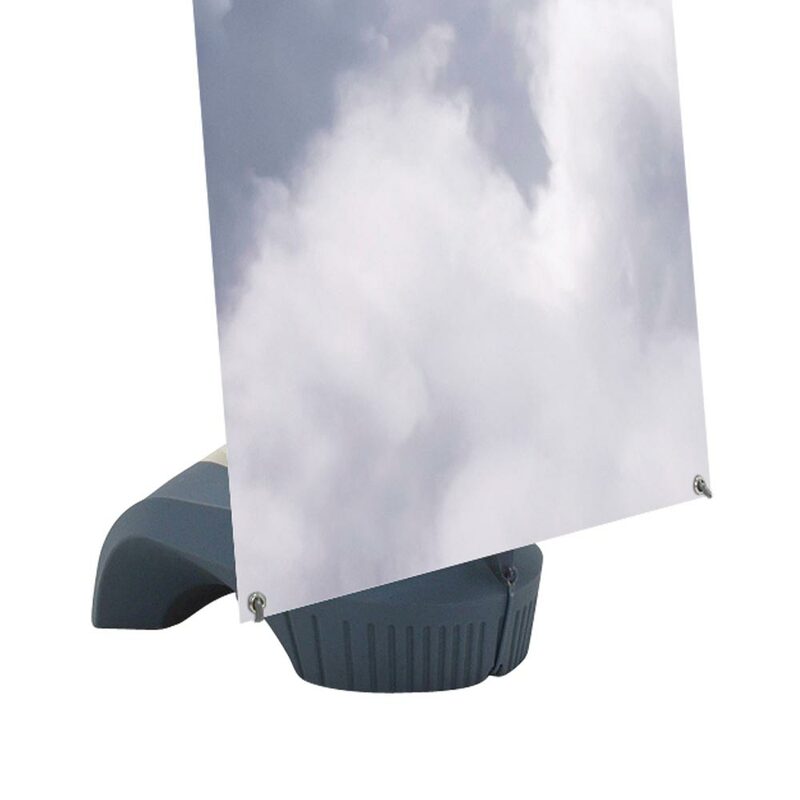 Includes banner with hems and eyelets 0.8m wide × 2m high printed on 440gsm PVC to your artwork. Unique composite outdoor/indoor design with telescopic pole and water fillable base. Replacement graphics easily ordered and fitted. We print the graphics on our standard 440gsm PVC outdoor banner-grade material so you know they are excellent print quality and perfectly suited to being outdoors.